Union Strategies Inc. – Union Strategies Inc.
Having an informative, visually appealing website is key in promoting your union. We create attractive, user-friendly websites with value added content—photographs, articles, videos, news stories, members’ section—to create an interactive web experience that ensures frequent visits. By considering the purpose and intent of your event, we can assist you in planning each detail: venue, food and drink, entertainment, advertising, and more. We will take the necessary steps to make your events a great success! Complete digital and print graphic solutions make cultivating your union’s image effortless. We can create and customize logos, video recordings, corporate film, graphics, newsletters, flyers, brochures, business cards, and much more! Our graphic services are complemented by our professional writing capabilities. From web content to press releases and news articles, our writers are committed to delivering concise, informative, and attention-grabbing content. We also offer French translation services. Telecommunications systems are geared towards expanding communication networks, ultimately improving your ability to reach your audience. We can provide a multitude of services including webmail service, cellular service at competitive prices, multi-line PBX phone system, and call drops. Competent IT specialists offer ongoing, thorough support for all telecommunications services. Union Strategies Inc. supports VoIP 911. Customers must provide Union Strategies Inc. their 911 service address. This is the address from which calls will be made using the specified number as Caller ID. Please note that VoIP 911 depends on your Internet working and your phone device being registered and ready to make calls. For more information about limitations of VoIP 911, please contact Union Strategies Inc. Without a doubt, social media platforms such as Twitter and Facebook are some of the most powerful communications tools available today. We create, modify, and update all your social media accounts in order to optimize the usefulness of these platforms. Through web-based media buys, we can drive traffic to your social media pages—your local will be easily found through web searches. Promotional apparel and goods are an excellent way to express gratitude, connect union members, and promote your union. We offer t-shirts, watches, sunglasses, pins, pens, sports accessories, and much more. All of our apparel offerings are union-made and made in Canada. We are committed to delivering innovative solutions and products. Using the latest technology, we provide you with the most advanced forms of communication. Through consultation and ongoing support, our service packages are customized to suit your particular needs. 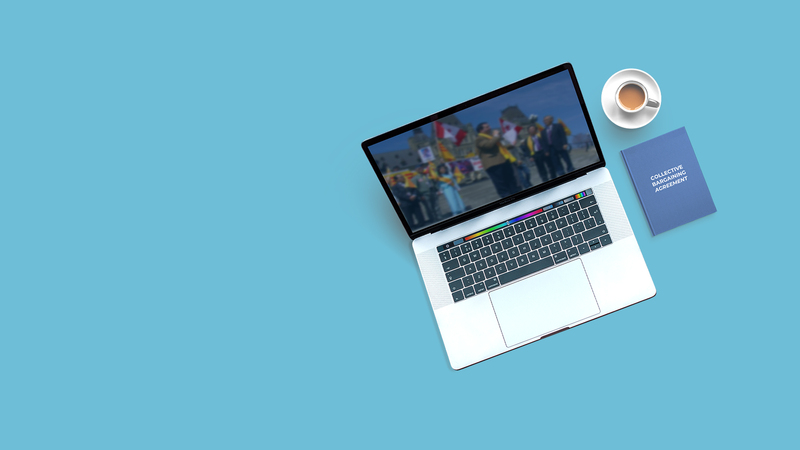 We work with unions all across Canada, connecting and informing their members through the power of web and social media. To schedule a consultation, please contact us. We welcome your questions, comments, concerns, or suggestions.